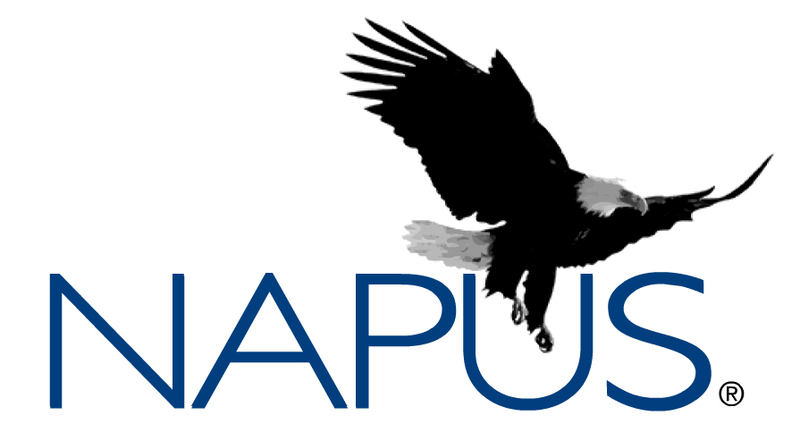 Over the past 18 months, NAPUS has raised concerns about the lack of data to indicate the amount of money the U.S. Postal Service saved as a result of reduced post office hours and post office re-classifications. In fact, one year ago, President Tony Leonardi testified before a Senate forum on rural mail issues at which he called for a moratorium on further post office hour reductions and re-classifications, particularly with regard to current Level-18 post offices. In part, NAPUS declared at the forum that the lack of accurate data, no assessment of rural impact, and the absence of information relating to revenue losses justified a pause in post office hour reductions and re-classifications. Shortly thereafter, Senators Heidi Heitkamp and Tom Carper introduced S. 1754 and S. 2051, bills that include NAPUS-supported provisions to implement the post office moratorium. NAPUS believes that the GAO report reinforces its call for a post office hour reduction and reclassification moratorium. You may view the GAO Report in its entirety here. NYACK, N.Y. (CBSNewYork) — Residents in a Rockland County town say they have a postal problem. As CBS2’s Meg Baker reported, if you’re going to send a package to Nyack, send it sooner rather than later. Residents say they have been having a snail mail problem. Imagine, it’s your birthday, you are waiting patiently for a special care package to arrive from family, but no mail delivery arrives that day, or the next, or the next. That’s what happened to 60-year-old Joe Carlin in September. Read more: Postal Service Says It Is Addressing Delivery Delays In Nyack « CBS New York. (U.S. SENATE)-Senator Jon Tester today met incoming Postmaster General Megan Brennan for the first time to discuss strengthening the Postal Service and the need to improve delivery standards in rural states like Montana. Tester emphasized the Postal Service’s delivery standards have become a disaster for USPS and for the Montana families that rely on the Postal Service to deliver medication, election ballots and ultimately, to stay connected. He also voiced the need to reform funding of the Postal Service’s employees’ retiree health benefits to maximize returns and limit the waste of current funds. Tester is a member of the Senate’s Governmental Affairs Committee that oversees the Postal Service. He has been critical of the previous Postmaster General for taking steps to privatize the agency and opposed the committee’s postal reform bill because it did not preserve strong enough mail delivery standards in rural America or adequately support postal workers. This week Tester sent a letter to Brennan calling on the USPS to ensure accuracy, as well as its accountability to others, when tracking how long it takes for mail to get from place to place. West Virginia Congressman David B. McKinley, R-W.Va., introduced a bipartisan resolution calling for an end to the postal slowdown and a return to prior service standards. On July 1, 2012 the United States Postal Service (USPS) initiated an aggressive plan to cut costs by closing rural post offices, mail processing facilities and reducing First Class Mail delivery. This has had a disproportionate impact businesses and families in rural areas. “We’ve heard from hundreds of West Virginians — newspapers, businesses and individual postal customers negatively impacted by these delivery changes. By restoring prompt and reliable service, we can rebuild trust in the postal service and give rural Americans peace of mind” said McKinley. The fall 2013 closure of the USPS Mail Processing Facility in Bridgeport has required mail to be shipped to Pittsburgh or Charleston for processing, resulting in delays, increased costs, and unreliable service. Beckley mail is sent to Charleston for processing. This month, USPS announced it would end overnight delivery of First Class Mail in further efforts to cut costs. “This postal slowdown is causing real harm across West Virginia as credit card bills are delayed, consumers cancel unreliable newspapers, and timely medicine deliveries are threatened. 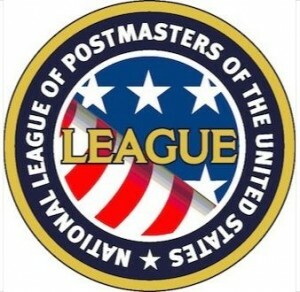 The Post Office should reconsider these changes and work with Congress to develop an alternative model,” McKinley added. The bipartisan resolution, H. Res. 54, was co-sponsored by Reps. Paul Tonko, D-N.Y.; Don Young, R-Alaska. ; Marcy Kaptur, D-Ohio; Doug LaMalfa, R-Calif; Richard Nolan, N.M.; David Joyce, R-Ohio; and Linda Sanchez, D-Calif.
01/12/2015 – An addendum to the Sept. 22, 2013, POStPLAN Memorandum of Understanding will place a number of career jobs into Level 4 post offices, which otherwise would have been staffed exclusively with Postal Support Employees (PSEs). The offices in question are open four hours per day. The specific numbers and offices have not yet been identified, APWU President Mark Dimondstein said in announcing the Dec. 31, 2014, agreement, but identification is expected to take place within the next 30 days. For more on the POStPlan, click here. 10/09/2014 – The APWU and USPS have agreed on a “pecking order” for filling newly created positions in POStPlan Installations. A recent arbitration award will result in the creation of 9,000 new Clerk Craft jobs in six-hour and four-hour offices affected by the POStPlan. The pecking order is based on the arbitration award and the subsequent Memorandum of Understanding (MOU). “The union attempted to come up with a clean and quick pecking order that would place bargaining unit employees from the area into the positions as soon as possible and make it easier for the locals and state organizations to manage the staffing process,” said Clerk Craft Director Clint Burelson. “Given the 3,000 or so jobs expected to be filled in six-hour Remotely Managed Post Offices (RMPOs) and the almost 12,000 part-time flexibles in the bargaining unit, the majority of the jobs are expected to go to PTFs within the installation (bid cluster) and/or in a 50-mile radius from the Administrative Post Office (APO),” he said. “This will present a good opportunity for many PTFs to increase their hours. It also will offer an opportunity to improve their “high three” earning years, which are used to calculate retirement annuities,” Burelson pointed out. “As a result of PTFs filling positions in the six-hour RMPOs, it is expected that Postal Support Employees (PSEs) will be converted to career by filling the vacant PTF positions. PSEs are also expected to fill the jobs in four-hour offices, where they will be able to move to career as future vacancies come up in the installation (bid cluster),” he added. “Employees in six- and four-hour RMPOs will be the only person working in their offices and will have the opportunity and responsibility to help preserve the post office for their community,” Burelson noted. “The APWU is working to gather the resources to help employees, locals, and state organizations preserve and enhance living-wage jobs and good service in our communities,” he said. For more information about the POStPlan arbitration award and the MOU, click here.